In conjunction with The Albany Law School, the dual JD/MPA program has been designed to promote integration between the fields of law, public administration and public policy. It enables students to earn both degrees in, at most, four years of full-time study, rather than the usual five. Recipients of the dual JD/MPA hold professional credentials for a broad range of careers in government, consulting, teaching, research, and law. The Albany Law School (of Union University), founded in 1851, is one of the oldest law schools in the nation and has a long tradition of excellence in providing legal education. It is approved by the American Bar Association and is a member of the Association of American Law Schools. The school offers a three-year, full-time program designed to give the student knowledge of the sources of law, understanding of the historical context in which today's laws evolved, and improved powers of reasoning, expression, analysis and problem solving. The graduate of Albany Law School is prepared for general practice, government service, or additional graduate study. An advantage of the dual degree program is that a maximum of six courses may be applicable to both degrees. Through the dual programs, a maximum of three 3- or 4-credit courses within the MPA curricula may be transferred to be counted toward the J.D. The transfer of three 3- or 4-credit courses from the J.D. curricula will be accepted toward the MPA. All transfers are subject to the approval of the program advisor and must follow curriculum guidelines. The scheduling of the combined study is flexible. The student will spend the first year of study exclusively at Albany Law School. A plan of study for the completion of all requirements in the remaining three years should be worked out with the program advisors of both schools during the first year of study. The Albany Law School student must satisfy the New York Court of Appeals mandated resident requirement of six semesters of full-time study with a majority of credits in day courses commencing before 4:00 p.m. However, in the dual degree program students can satisfy the residency requirement by taking the equivalent of five semesters in residence at Albany Law School and the remaining semesters at the Rockefeller College Department of Public Administration & Policy. Students must meet the admissions standards and deadlines of both Rockefeller College and Albany Law School. The applicant should write "Dual Degree JD/MPA SUNYA" on the upper right-hand corner of each application and all correspondence. Each school will evaluate the application based on its own requirements and standards. No special requirements are imposed on applicants to the joint degree program. Both schools look for a strong undergraduate record. The applicant must score well on the Law School Admission Test (LSAT). The Graduate Record Exam (GRE), a requirement for MPA admission, will be waived in lieu of the LSAT. Applicants must have a baccalaureate degree. Application to the dual program must be made no later than the end of the first year of study at Albany Law School. For MPA admissions requirements, please visit our admissions page. 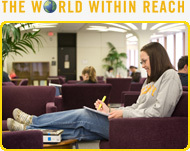 For JD admissions requirements, please visit Albany Law’s admissions page. The dual degree student will pay full tuition at the school in which he or she is registered each semester. Any additional fees required by each school must also be paid. In any semester in which the student is registered in both schools, tuition will be billed by each school according to the courses being taken. Because of the cross-crediting hours, total tuition billed at Albany Law School should barely exceed five semesters (instead of the six for which a single degree student would be billed). Likewise, at Rockefeller College tuition will be charged for 9 courses instead of the usual 12 courses. Registration procedures each semester will be managed by the registrars in each school so as to accommodate the needs of the dual degree student for the semester. The student should remember to flag correspondence with the legend "Dual Degree JD/MPA SUNYA."